Published online articles that have featured quotes from Bob Bentz. I am happy to provide interviews to bloggers and online publishers; all I ask for in return is a simple link back to our site. The best thing about being an entrepreneur is gaining success for your employees, not yourself. 1/24/19 — Instagram get Hacked? The idea of the chatbot is to generate a lead for the business regardless of what time that chat occurs. 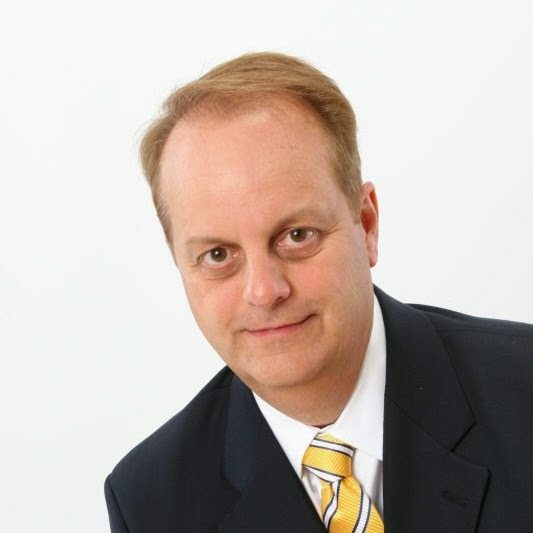 Always ahead of the curve, Bob Bentz has decades of experience in marketing, IVR, 800 and 900 numbers, ringtones, and now social and mobile marketing and he covers all areas in depth. It’s not the sexiest part of mobile marketing today, but it will provide the best ROI for anything that your restaurant does. With our aging population, there is an increasing need for nurses and it will be impossible for supply to keep up with demand. Become a thought leader in a particular area. My area of specialization is mobile marketing and if you post enough about this subject, you will get a significant amount of followers. It’s amazing how the busiest person in the office always seems to make the deadlines. Read the crazy question that I ask candidates. If you are applying for a job here and are doing your research, mention this to me and you’ll have an advantage! Many business owners are camera shy and don’t want to create videos, but the fact is that you don’t need to have Hollywood level production anymore for your customers to watch it. On Instagram, the image is the message, engagement is high, and your promotional posts will appear to be native to the consumer since you’ll be using the same great targeting abilities offered by Facebook. …we like the aspirational imagery that the advertisements on Instagram provide. On Instagram, the image is everything. I rely on the early stage KPI of shares. A share is a vote for your company or your content so it is far more powerful than a Like or comment. When SEO became an art, I became very intrigued and studied it every night. The great thing about SEO is that there has always been so much information available online. Sure, some people may stop following you if they feel you update too often, but I’d gladly trade losing a few followers for the added benefits that Tweeting many times per day brings to your brand. Mobile has taken over, and attention spans on mobile are short and getting even shorter. Make sure your video attracts immediate attention. Whe n it comes to an omnichannel approach, Starbucks is a company that clearly gets it. The single most important thing that a small business or freelancer can do is to get the title tags right. I ask candidates right away if they visited our website. Although Instagram is a visual platform, use all 2,000 words on the description as most business rarely use this feature. “We are living in the day of big data,” telecom guru Bob Bentz told me. “Your phone number is available so many places. Ever buy anything online? You probably gave your phone number. Loyalty card at the grocery store? It’s likely tied to your phone number. Since calls are nearly free over the internet, the businesses are hoping for that one rare response that will earn them a profit. The beauty of mobile advertising is that you don’t need Hollywood production values; a simple mobile phone video can work! 3/3/17 — Who Let the Office Dogs Out? What is a quarter of a half? I ask this question because math is a fundamental skill that employees need when it comes to analyzing the success of advertising campaigns. A business should respond to all complaints and calmly give their side of the story. While creating a list of opt-ins may seem to be a daunting task, it is precisely why text message marketing works so darn well – people are ASKING to receive your advertising! My New Year’s Resolution is to get out of the office more and find that talent, so I don’t have to advertise when we have an opening. When it comes to mobile advertising, you are going to see an increased use of video in digital. They will be short 6 to 15 seconds in length and production value will not necessarily have to be of Hollywood quality. With geo-conquesting, we can bid high to programmatically show up in apps and on mobile websites at a specific geographic location. I ask candidates right away if they visited our website. If they say yes, I ask them specific questions about what they learned from the website. In many cases, I get, ‘I scanned it quickly’ or ‘I didn’t have time.’ What? You’re unemployed and you didn’t have time? With either of these answers, I can’t get rid of the candidate any quicker. When it came to naming my new 354 page book about mobile marketing, I wanted a catchy title, but I also wanted to have the important keywords in the subtitle to attract those people that would search for a book on this subject on Google or within Amazon. Bentz founded a company called Advanced Telecom Services to assist 900 number entrepreneurs, and soon he’d helped launch phone lines that look like a preview of today’s most popular websites. This (video) will make it stand out from the other two million apps in the App Store and make consumers far more likely to engage and eventually download your app. Why advertise in print or radio when the majority of your dollars will be wasted? With mobile, you can target just those people in your immediate geo-targeted area. The biggest mistake I see small businesses make is not in the keyword targeting, but in the product description. According to Bentz, the Waze app “gets you to your location on the most expedient route,” something that benefits business owners meeting clients in new locations. For small businesses that don’t have a lot of local competition, this effort alone might get you on the first page of Google. One of the biggest disrupters is showrooming. It’s incredibly frustrating for a retailer to engage a shopper in-store, only then to have them search and find a cheaper price online. One of my first managers told me that you always need to take a customized, written proposal to a first meeting, and many years later, I still always do that. LinkedIn is a job seeker’s best friend because it avoids gatekeepers—the guard dogs of important executives. While many elements that are critical in search engine optimization for desktop are the same as mobile, there are some definite differences when optimizing a mobile website. Consumers are interacting with their smartphone more than ever, and in new ways. “no tener miedo de usar el mismo contenido más de una vez. Si funcionó una vez, utilízarlo de nuevo. Un tweet que fue efectivo puede ser utilizado muchas veces hasta que se produce la disminución de la participación”. We also talk about Bob’s interesting career path, pioneering mobile marketing from his Ringtone days to now being the founder and CEO of PurpleGator, a highly successful mobile agency out of Philadelphia. Purplegator discovered that a lot of people driving from Southern California hadn’t made accommodation plans for their arrival in Vegas, so the company geo-fenced sections of the highway that lead to the city, sending ads for the hotel through the Waze directions app which users could click on and be led to the hotel to make their booking. Pins on Pinterest have the longest shelf life of any of the social media sites. They will drive traffic to a business website often for years, because of this reincarnation feature. Be sure you are listed on local sites that are mobile-centric such as Yelp and Foursquare. A handwritten note shows that you have taken the time to establish a relationship and it’s not just a copy of an email you’ve forwarded to hundreds of others. You’ll get a chance to pitch to them after they’ve received your direct mail letter. LinkedIn is a great place to post your content, but I’m starting to see it get a bit crowded. Always thank your customers for the business. It’s amazing what that does for retention; it simply makes people feel appreciated. Customers want answers and with the evolution of mobile phones and other means, they are working longer hours and not just 9 to 5. If you are trying to reach business persons, try sending your messages 3 minutes before the top of the hour. Why? That’s when busy executives are waiting for their next meeting to begin. With Buffer App, you can work on your social media posts just once per week and set them up to go for the rest of the week. We found one [business] where you could receive faxes for free, and we found one where you could send faxes for free. So, we received from one service and sent from the other one! FREE! Bob Bentz, president of ATS, suggests sms marketing as a good way to boost your ROI, as the read rate is 4x than of email messaging. Mobile isn’t getting its fair share (24% of time spent with media, but only 8% of ad dollars) right now so there are real bargains available. When a company has been in business for 26 years, especially in the tech and media business, you learn to re-invent yourself many times. Bob Bentz made it his goal to either see a professional baseball game in each state or walk onto an infield and touch home plate. North Dakota was the last piece of the puzzle. Bob Bentz, president of Advanced Telecom Service credits actively participating as a speaker at various trade shows as one of the reasons he was able to grow his start-up with no outside public funding into one that does more than $60 million in annual sales. Nothing sends a worse message about a business website when a prospect sees that the blog hasn’t been updated in a year. I cringe when I go on a business website and the blog is neglected and it gives me the feeling that the business is not on top of its game. The changes you will see in coming years for digital and mobile marketing is a move toward more video. And, that video will be increasingly short to match the short attention spans of consumers. Expect to see 7 second commercials online and on video. My favorite content marketing tool is to get quotes from numerous experts about a particular topic. The only time I feel limited by mobile is if I’m on a site that isn’t mobile friendly! I can say that no employee of our company has ever missed one of their kids’ after-school sporting events. That’s something we can provide that large companies can’t. Millennials often don’t want to make phone calls, and many people are afraid of the ‘sales pitch.’ The Text Anytime option allows you to capture the lead when they’re on your mobile site and answer questions in a medium they respond to. If they get it wrong, but say the wrong answer with authority, I just may continue to consider them. For managers, I could care less what your GPA was. Our interns have real jobs and make a real contribution to the company; they aren’t fetching lunch for the boss. We have been having great success for our mobile marketing clients with Facebook advertising. 4/18/14 — Why did You Start Your Business? Getting out is key; if you lock yourself in the office all day, you won’t see what is new in the world. I am aware of at least one good sale that came from a customer that read our quote about geo-location mobile advertising. You’ll get bonus readers from the link and it will also help your SEO! 2/1/14 — What Does it Take to Get Hired and Promoted? If [new hires] are always looking to further their knowledge about the industry by asking to attend trade shows or go to local networking events. Then, I can see they want to make a career out of our business. The beauty of geo-fencing in mobile ad buys is no waste. …once a person gains experience, their GPA is not nearly as important as their work experience. When I get a call from a previous contact, I bring up their profile on LinkedIn and there I have the details of our previous meetings. I started one of the first ringtone sites in the USA called Ringingphone.com. It has only been in this past year when we’ve decided that the name “ATS Mobile” better reflects our company goals, but note that we kept the acronym “ATS” in the company name to reflect the 24 years of successful business-something no Other Company in the mobile marketing business can claim. 4/19/13 — How Did You Come Up with Your Business Name? We were seeking a generic sounding name that would stand the test of time as the company evolved. …people in his office play basketball at 12:30 p.m. on Fridays in the spring and summer. Nominating a ballplayer that I’d like on my business team. — Every business needs somebody to do the dirty work and catcher is the position with the most dirty work. people in his office play basketball at 12:30 p.m. on Fridays in the spring and summer. When I look at other companies in our industry who were once strong competitors, they disappeared because they didn’t keep re-inventing themselves like we have. Being a small business technology company is not easy, especially as rapidly as technology has changed over the past twenty years. The tax code also needs to be simplified and loopholes closed, because at the end of the day wealthy people do pay less, percentage-wise, than the middle class. I’ve learned about telecom, but my passion has always remained in media. On average, Bentz said, his research shows that a custom QR Code will elicit 2.4 times more scans than a standard QR Code. Users will start going steady and drop out of the online dating pool for a while, but then they breakup three months later and are back using the service again. Radio interview with Bob Bentz on WIFI-AM and other talk radio stations. We got an 11% return rate on the Super Bowl promotion. Podcast interview with Bob Bentz on online dating affiliate programs. I am looking for applicants that answer the question positively and confidently. If you’re waiting for the bus, you can be finding a date. Thanks to a much improved 900 number business climate, Canada has recently been a hot bed of activity for Call TV programs which are relatively new to the North American market. ATS is handling calls for an instant win sweepstakes that allows callers to vote on a new ailment for Hasbro’s “Operation” game. Bob Bentz, author of Opportunity Is Calling: How to Start Your Own 900 Business (ATS Printing, $29.95; 800-247-1287), estimates that about 80% of the lines sponsored by entrepreneurs have failed within three years.